Here is a very good printer, that if you can buy today is users recommended. This year we will take into account something that is very important and as always primordial in our decision making when categorizing an equipment as the best of the year, “ECONOMIC” we are always looking for what is more influential in the economy. 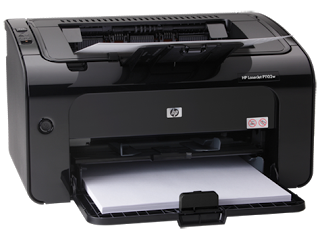 Although there are many factors that influence but there are other items, and we have decided that in the HP monochromatic printers, the LaserJet Pro P1102w (CE658A)printer, you should know that with any other printer with the same cost and that can do the same tasks you will not obtain the same amount of pages. It is important to know that when buying this printer it will come with an introductory toner, it is similar to most of the cartridges all printer come with, this toner cartridge is rated for about 700 pages, so we recommend to change the cartridge as soon as it is over, even the cylinder of this toner cartridge is less resistant than the new one you will use to replace it. A fact worth to mentions is the printer endurance, it is a printer that has follow previous printers tendency with the same 1020 HP LaserJet character "performance and durability", you can get this printer generic toner with the same performance but 50% cheaper than the original and you can refill this toner even cheaper y no having to change the chip. With this printer you will be able to print about 18 pages per minute, although the first page lasts for about 8.5 seconds to come out due to the heating process of the fuser, then all the other pages come out constantly. The duty cycle corresponds to about 5,000 pages per month, this does not mean that you cannot print more pages per month but if you have a calculation to compare with your monthly need and chose this printer just in case you have a minimum monthly need or what the manufacturer stipulated. all the characteristics are done in A4 pages. This printer has the ability to print with the HP ePrint, Apple AirPrint™ technology, HP wireless direct printing and it can be set to print via a wireless network, it is compatible with the Microsoft® Windows® 7 (32 bit/64 bit), Windows Vista® (32 bit/64 bit), Windows® XP (32 bit/64 bit), Windows® Server 2008 (32 bit/64 bit), Windows® Server 2003 (32 bit/64 bit), Mac OS X v 10.5, v 10.6, v 10.7, Linux operative systems and it admits the following size of papers A4; A5; A6; B5; postcards; envelopes (C5, DL, B5). Documentation and Installation CD "drivers"
USB Cable "It depends on the region"